Continuing with the theme of pampering and indulging, now seems like a pretty good time for a fresh manicure, right? 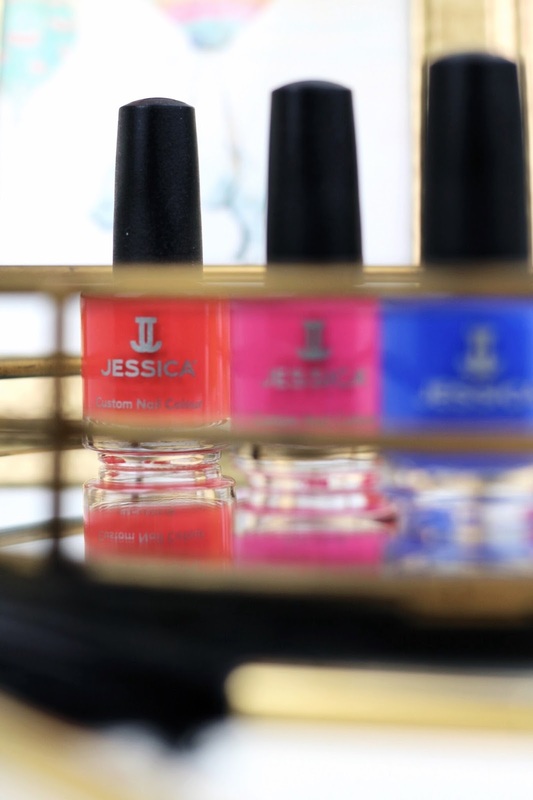 Summer is here, and with it comes the brightest, boldest shades. 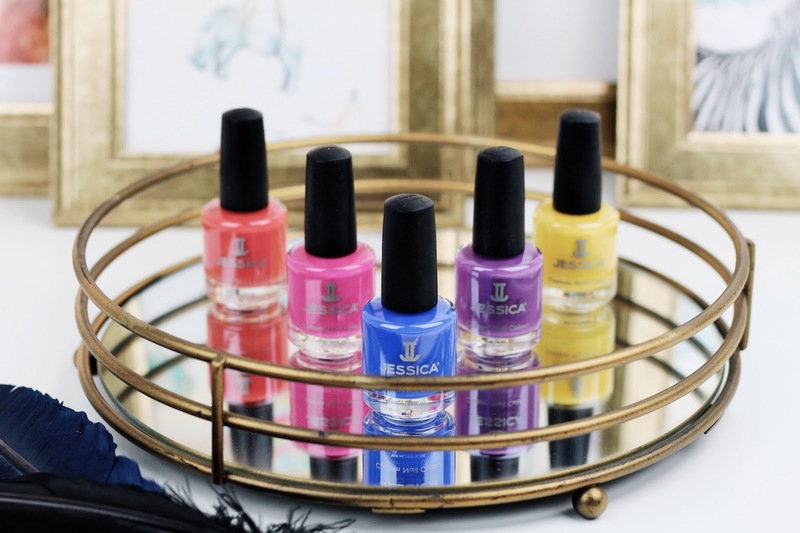 Jessica Nails are celebrating colour right now with their (primary) colour-popping new Prime Collection. So, five sassy shades later, which polish impresses most with its colour and application? Orange (scarlet crème) - totally surprised by how much I love this shade. Similar to coral lipstick, it takes some getting used to... and then you're smitten! Blue (cobalt crème) - my all-time favourite. I feel as though I've been searching for the perfect shade of blue my entire life and finally I've got my mitts on it (literally). Yes, yes and ten thousand times, yes! Application? I found each 'primary colour' only needed one layer of polish, with purple needing two. The biggest surprise with regard to coverage was the striking orange and yellow shades; unlike most other light shades, they applied heavily and without streaks. It's safe to say I have a pretty large collection of Jessica Nails polishes now, and mainly due to how quick the drying time is. I'm all about those speedy manicures! 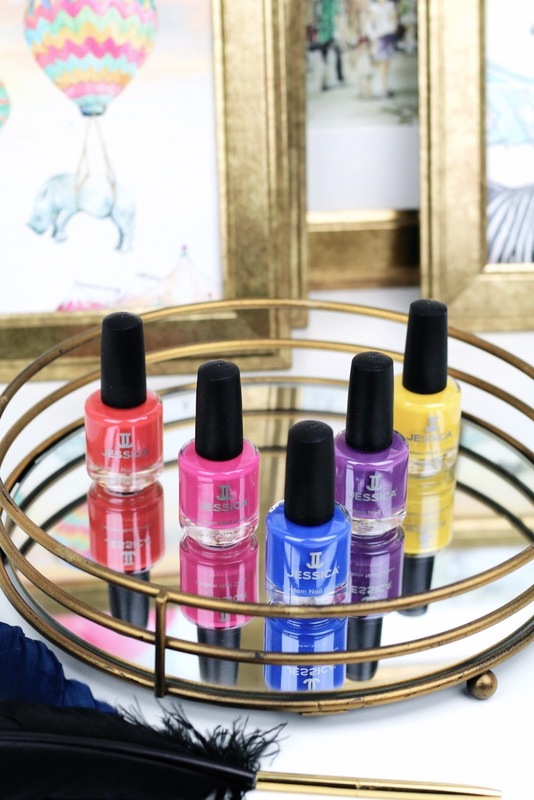 I'd love to hear your thoughts on this eye-catching new collection - do you have a fave shade? Oh and while we're focussing on feeling calm and pampered, be sure to pop over to the Mira Showers website to read my tips on creating a calming spa in your bathroom! Love this selection of colors! They're so beautiful and vibrant! These nail colors are gorgeous! I love how bright and vibrant they are! This made me LOL! Yellow nails remind me of smoker’s nails haha I can totally understand where you’re coming from. But I do love them on darer skin tones. I think it has to be exactly the right shade of yellow though, otherwise that smoker’s nails thing pops into my head haha Love the blue on you! I have a crazy amount of cobalt & electric blue polishes but I can never find the time to bother painting my nails now. Maybe I’ll have to pamper myself soon haha I love how it matches your outfit! The Fuchsia and the blue would be my picks as well. I do like orange, but not as much, and I am not a fan of yellow on myself either. sooo pretty and all the colors are gorgeous! Nice sharing, dear! Love those striking colours, Gabrielle! Beautiful nail polish shades!! I love orange and magenta but that blue shade looks amazing on you!!! These colors are absolutely perfect for summer! I love (and need) them all! Have a nice weekend beautiful! Yellow looks absolutely horrid on my medium complexion and my nails look dirty and old with it. So it's not just you, Gabrielle who struggles with the colour. Your nails are everything!!! WOWOWOWOWW! SOO sooo incredible! Love that shade of blue! All of the colors r so vibrant and stunning! I’m all about pampering myself, every chance I get. I haven’t done my nails myself in years, I actually hated doing my nails, it was torture waiting for them to dry and now I kind of miss it. I love all of these colors. Your nails look great. these are such gorgeous vibrant colors! I love the design you did! These colors look super fun and bright! Perfect for summer! What a lovely collection. I'm in love with all of these shades....These nail-polishes are beautiful...and your manicure is so stunning. You have gorgeous hands! Wow these are some gorgeous bright shades! Your lovely long nails put mine to shame - I desperately need to grow them as it's so lovely to have painted nails at this time of year! Love your nails, and the cute arty touch! I absolutely love the blue and pink! I LOVE your blue nail polish with pink dots. It is so fashion forward and fun. I also like blue best of that lovely palette. Your hands and nails are picture perfect! I'd never heard about the brand before! These shades are lovely, and that electric blue looks great on your skin - but I've already mentioned how that shade is very flattering even with clothing. The purple shade is also super pretty! And the quality seems quite impressive if you only need one coat for most of them. That's a good discovery for me, thank you! The collection is so bright and cheerful! I try to be colourful but I end up sticking to my Red OPI Infinite Shine. However; I am wanting to try some natural nail polish and I think I might do a review on the blog soon. I love all this bright colours. Yellow nails would make such a statement. Oh, those colors are just so pretty, pretty, pretty! Nice! This is such a sweet message Dominica, thank you so much - you've far too kind, and have completely made my day! 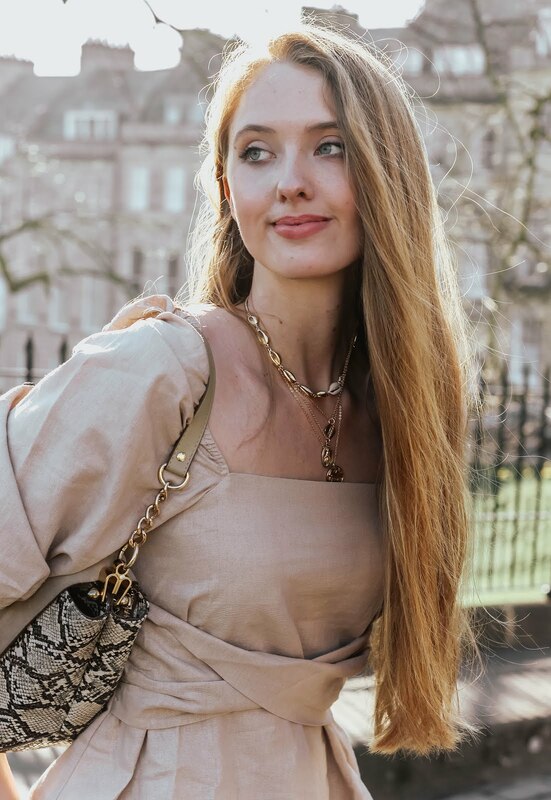 Absolutely adoring your faith in my blog; you're so, so lovely! That blue looks amazing on you Gabrielle! I'm loving that orange (scarlet creme). It's a gorgeous collection. 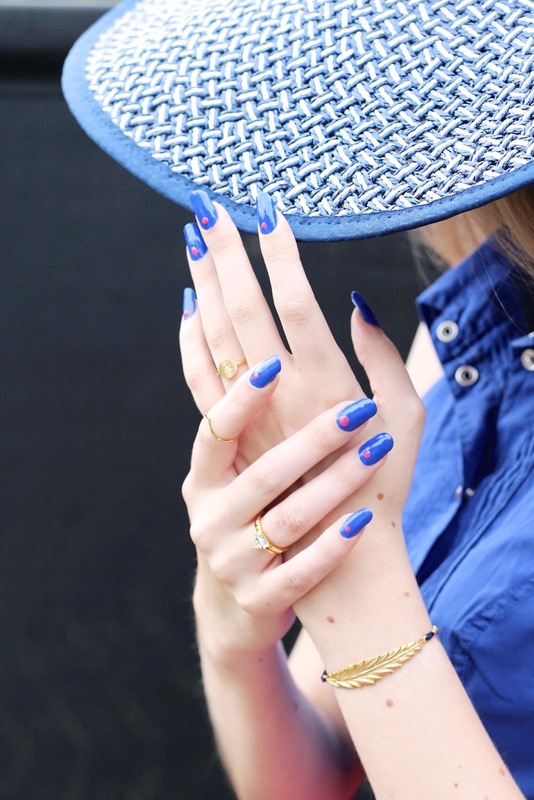 I love a bold nail colour for summer and these shades scream holidays! Oh my godddddd that blue shade it just DIVINE, love it on you girl and that's definitely the shade I would have gone for too! I love that it's bright for summer but super bold too! You have the most amazing nails Gabrielle!My favorite has been the orange-coral shade. Thanks so much for the inspiration. Such bright colors! I love the blue on you. Love those bright shades. They are fabulous for the summertime. In recent years I've been wearing nails in dark pink, green and blue. It's amazing how flattering they are.